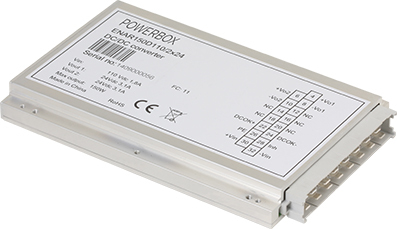 The PAE series of half brick DC/DC converters provide wide range of input and output voltages in various power levels from 75W up to 200W. PAE series converters are suitable for wide range of applications industrial, transportation, defence and telecom market sectors. Due to the operating temperature range down to -40C and baseplate cooling they are well suited for high IP outdoor and mobile application. The wide 4:1 input versions suite especially well in railway applications due to EN50155 approval and input ranges up to 160VDC. 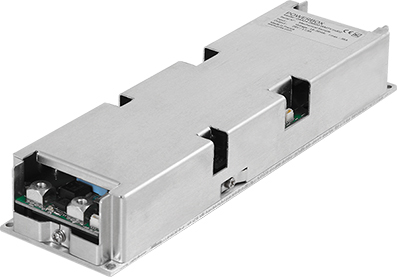 The PAE series converters are also available with very convinient terminal block option which offers the brick in ready mounted on PCB with screw terminal connectors and wall mount plate. Terminal block versions can also be delivered with ready built in filter on PCB.